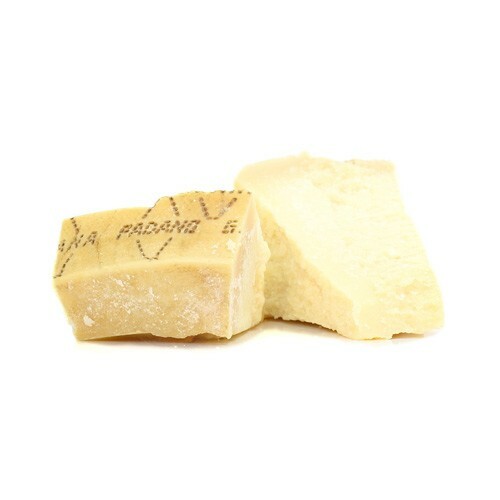 Its name is derived from the Italian word “grana” which translates as “grain” to describe its hard and grainy texture and “Padano” which refers to the “Val Padana”, the cheeses origin in the Po River Valley. Originally created in the 12th Century by Cistercian monks, this Italian cheese is made using unpasteurized milk. This is a cheese that most closely resembles Parmigiano Reggiano but is definitely not a lower grade substitute.